James Gough was born in Oklahoma in 1934. He enlisted in the U.S. Air Force on February 14, 1952, and after Tech School was assigned to the 17th Bomb Wing, 95th Bomb Squadron, in Korea where he flew as a gunner in the Douglas B-26 Invader during the Korean War. After Korea, he went back to Tech School and was trained as a Turret Systems Tech on B-36 Peacemaker bombers and was stationed at Walker AFB in Roswell, New Mexico. When the B-36 was retired from the Air Force inventory, he cross-trained to the B-52 Gunnery system. In 1962, Sgt Gough cross-trained to the Atlas E missile and eventually transferred to Altus AFB, Oklahoma. When the Atlas was retired he went back to working on the B-52 Gunnery system. Sgt Gough was next assigned to Ellsworth AFB in Rapid City, South Dakota, where he applied for and was accepted as a gunner on the B-52 Stratofortress. After completing training, he was sent to Southeast Asia and flew in the B-52 Arc Light missions. During the next few years he rotated in and out of Southeast Asia, and served at Mather AFB in California and Fairchild AFB in Washington. While flying as a Tail-Gunner on a B-52D during a combat mission over Hanoi, North Vietnam, on December 28, 1972, Sgt Gough's aircraft was hit and he was forced to manually bail-out, as the early-model B-52's didn't have ejection seats for the gunner. He was taken as a Prisoner of War by the North Vietnamese and was held in captivity for the next 91 days. 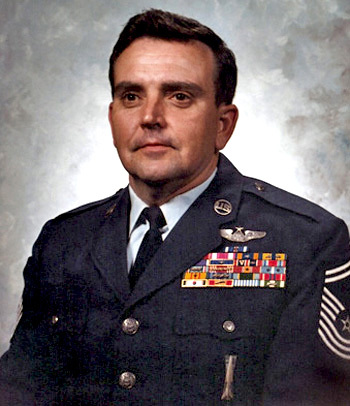 After his release during Operation Homecoming on March 29, 1973, Gough continued with his Air Force career and retired as a Chief Master Sergeant on January 31, 1979. 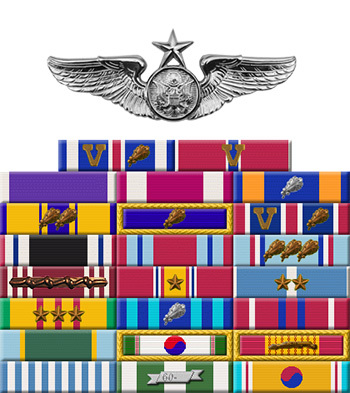 Sgt Gough wears Senior Enlisted Aircrew Wings and the Missile Badge, and accumulated over 1,800 flying hours in the B-26 Invader and B-52 Stratofortress. Master Sergeant James W. Gough distinguished himself by heroism while participating in aerial flight as a B-52D Fire Control Operator near Hanoi, North Vietnam, on 28 December 1972. On that date, Sergeant Gough provided an airborne defense against hostile interceptor aircraft and alerted the Aircraft Commander to potential missile threats as they occurred. His superior self-discipline, courage under fire, and technical competence were critical to the delivery of the weapons on the assigned target. The outstanding heroism and selfless devotion to duty displayed by Sergeant Gough reflect great credit upon himself and the United States Air Force.